Ascott Residence Trust's FY18 DPU of 7.16 Scts was above expectations at 107% of our forecast. Excluding one-off items, DPU would have been in line. The stronger earnings were mainly driven by inorganic contributions. 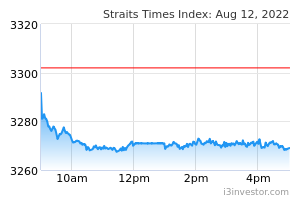 Maintain HOLD with an unchanged DDM-based Target Price of S$1.13. ASCOTT RESIDENCE TRUST (SGX:A68U)'s FY18 DPU of 7.16 Scts (+1% y-o-y) was 107% of our forecast. Excluding the one-off realised forex gain of S$1.6m and partial distribution of divestment gains of S$6.5m, DPU would have been 6.79 Scts, in line with our forecast. FY18 revenue increased 3.6%, due to additional contributions from the acquisitions of Ascott Orchard Singapore and DoubleTree Hilton Hotel New York in 2017, which offset the decline in revenue from the divestments of Citadines in China and 18 rental properties in Japan in the same year. Ascott Residence Trust's gross profits from master leases grew 10.7% y-o-y in FY18, mainly due to inorganic contributions from Ascott Orchard Singapore which was acquired in Oct 2017. Gross profit from management contracts with minimum guaranteed income rose 4.3% y-o-y, contributed by the UK (+5% y-o-y) and Belgium (+4.8% y-o-y) due to stronger market demand. Gross profits of management contracts segment improved 3.1% y-o-y, driven by Japan, Singapore and the US, which offset the weakness in other markets. Stronger performance from Japan was driven by higher corporate and leisure demand in Tokyo, which offset the keen competition from the new supply in Kyoto. The stronger performance from the US was driven by the contribution from DoubleTree Hilton Hotel New York (acquired Aug 2017), higher revenue from the refurbished apartments at Sheraton Tribeca New York, and stronger demand in New York. 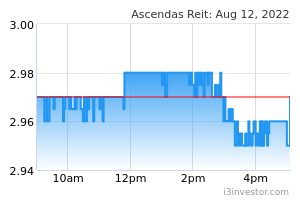 Ascott Residence Trust's end-4Q18 gearing remained low at 36.7% vs. 36.4% in the previous year. All-in borrowing costs stayed at 2.3% p.a. 80% of the total debts are on fixed-rate terms, with 4% of total borrowings to be refinanced in 2019. Management alluded that the trust will focus on acquisitions in 2019 and it is looking at Australia, Europe and the US. It is not targeting full-serviced hotels but may be interested in student accommodations and co-living properties if the price is right. Ascott Residence Trust will not be considering another greenfield project for now. We keep our HOLD call, and DDM-based Target Price of S$1.13. Our FY19-21 DPU forecasts are raised by 0.3% as we update our model based on its full-year numbers. Upside risks could come from accretive acquisitions, while downside risk is weaker-than-expected RevPAU performance from the management contract segment.